Below is the story carried on the Sports Journalists' Association website, followed by a tribute from Paul Newman, his friend and former sports editor of The Independent. 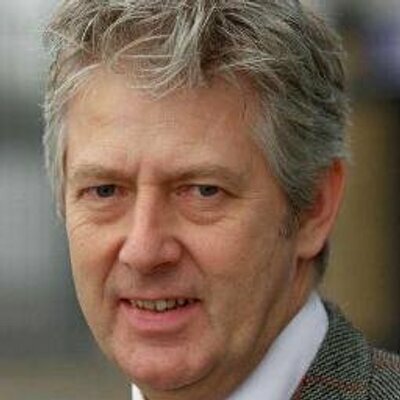 CLIVE WHITE joined The Times in 1981 becoming deputy sports editor from 1982-84 and then deputy football correspondent where he covered three World Cups and two European Championships before leaving in 1991. Thoughts go out to his children Chloe, Phoebe and Elliott and the rest of Clive’s family and close friends. There have certainly been sports reporters who had a better record of hitting deadlines and there have been a few who could write as elegantly about football, but I doubt whether many cared more about their words than Clive White. Somewhere in a box of papers in my study I have a piece of copy which Clive wrote for The Times when we were both working there more than 30 years ago. I was the chief sub-editor on the sports desk and was one of the last to leave the office late one Friday night when a messenger dropped into our in-tray a late item dictated to our copytakers. I imagined it might be a late-breaking story about an impending transfer or maybe news of a manager who would be sacked the following morning. Instead it was a message from Clive, who had written the main football preview for the following day’s newspaper. I can just imagine Clive having worried all evening about what he had written, wondering whether he had got the tone right or always found the mot juste. The importance of stressing whether there was one-third of a season left or whether two-thirds of it had gone clearly mattered to him. Nevertheless, it would be wrong to give the impression that Clive was in any way nerdish or obsessive about his work. He was a smiling, sociable character who was always popular with his colleagues and always willing to help. A personal memory is of my second day working at The Times. I introduced myself to Clive, who could not have been kinder or more helpful to a raw and nervous newcomer. Clive worked at The Times for 10 years. He joined as a sub-editor and eventually became deputy sports editor and then deputy football correspondent. He had a deep understanding of football and wrote about it with insight and elegance. He could turn his hand equally well to match reports, news stories, features or interviews. If Clive missed a deadline or two, it was nearly always because he wanted to polish his work to perfection. He left The Times in 1991, by which time I had become sports editor at The Independent. With Clive going freelance, I welcomed the chance to bring him into our pages. His writing style suited us perfectly and he was an excellent addition to our football team. Clive eventually joined the Sunday Telegraph, where he wrote about football and tennis for 13 years. He ghost-wrote excellent columns by Gary Lineker and John McEnroe. Ghost-writing is an art that not many journalists can master, but Clive knew exactly how to bring out in the written word the voice of whoever’s name would be appearing above the column. Lineker, learning of Clive’s death, described him on Twitter as a “brilliant and trusted journalist”. After leaving the Sunday Telegraph Clive focused more on tennis. He used to write the programme notes for Wimbledon and was also a regular contributor to International Tennis Federation publications. His latter years were dogged by ill health, but throughout his troubles he retained his sense of humour. For those of us who were lucky enough to have known him, we will remember the man as much as the journalist. Devastated to hear this tragic news. Such a special man. Good memories of a few smiles along the way. Another sad loss. He was an outstanding all rounder with great charm and humour.